THE CAT’S OUT OF THE BAG.. Check out the video at the link that follows as it explains all..
Basically come December 10th there will be just two types of Hypnotists on the planet.. Type B = Those who do nothing and don’t take action right now before the 10th December deadline who will then end up seeing their intelligent competition (those who do take action) Making Far More Money and Being Far More Successful than them! 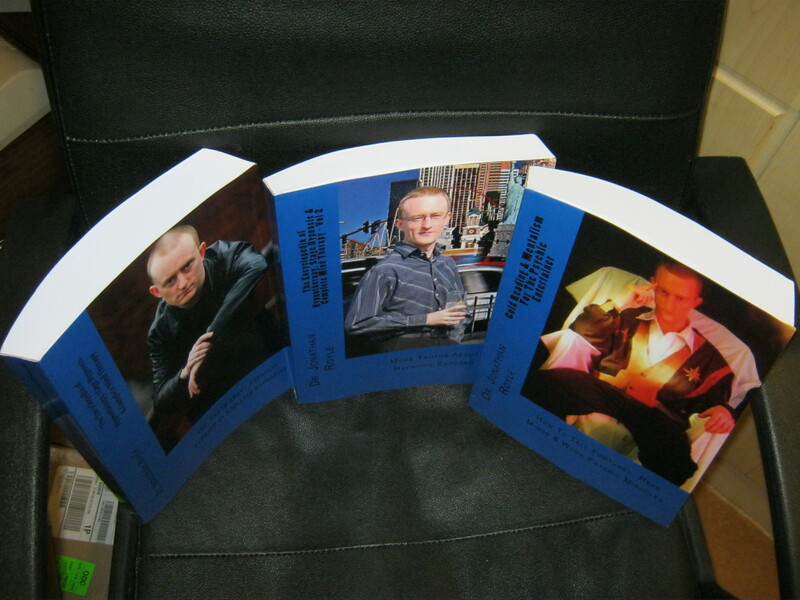 Do you want 2013 to be your most Successful year ever as a Hypnotist? BLACK FRIDAY – Xmas HYPNOTIST Special One Time Offer…. IN THIS BUMPER PACKAGE YOU WILL GET….. 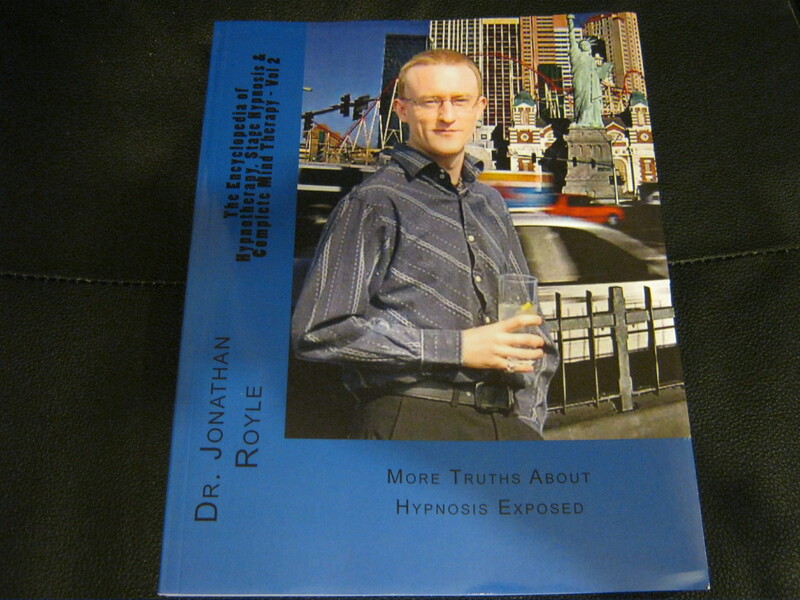 Rapid Hypnotherapy & Stage/Street Hypnotism. 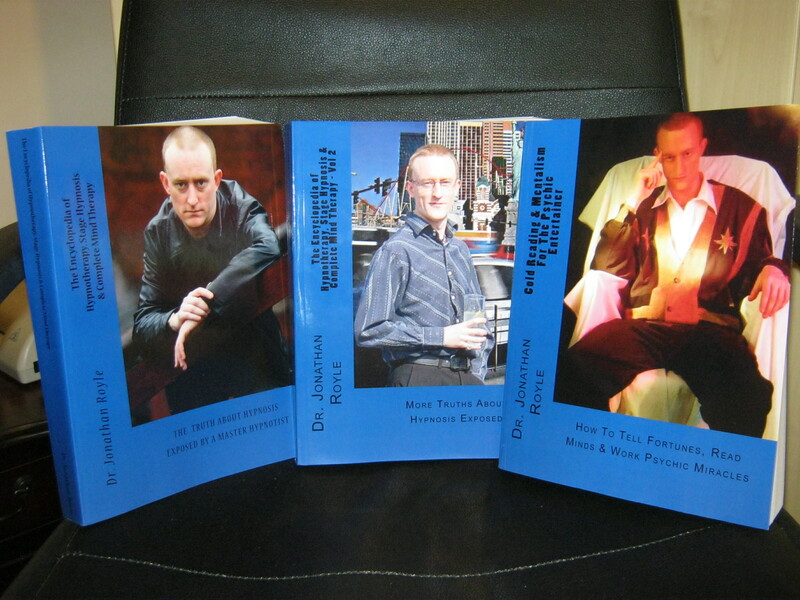 all areas of Hypnosis and NLP forever. 2012 which is my 37th Birthday! 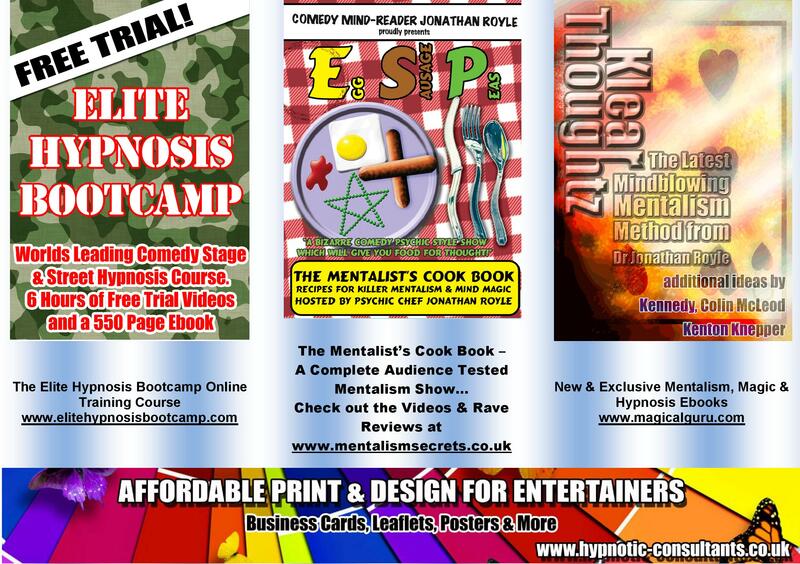 Do You Want To Learn Hypnotherapy, NLP, Stage and Street Hypnosis or even just Hypnosis you can combine with Magic and Mentalism? If So You’d be wise to read this posting before spending a single penny of your hard earned cash with anybody. Free Advice…. 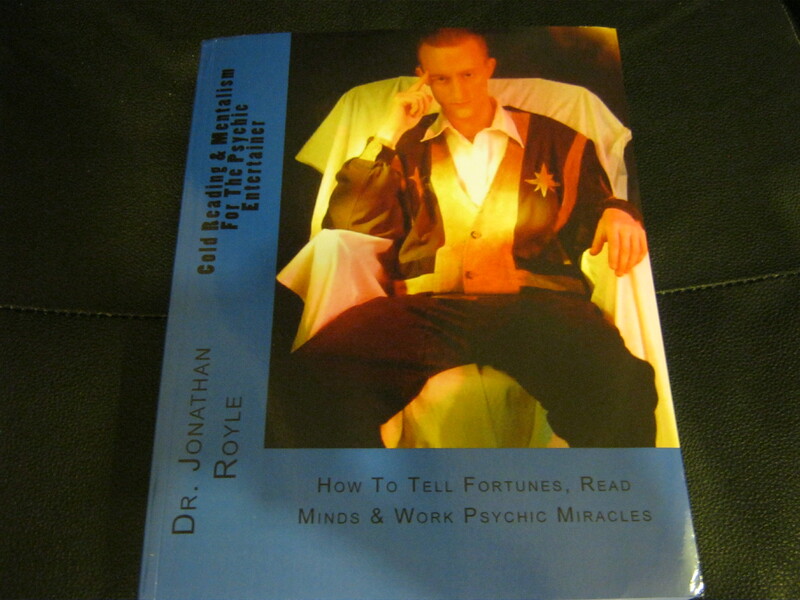 IGNORE THIS AT YOUR PERIL..
01) How Long has the person been earning their sole income from Hypnosis? 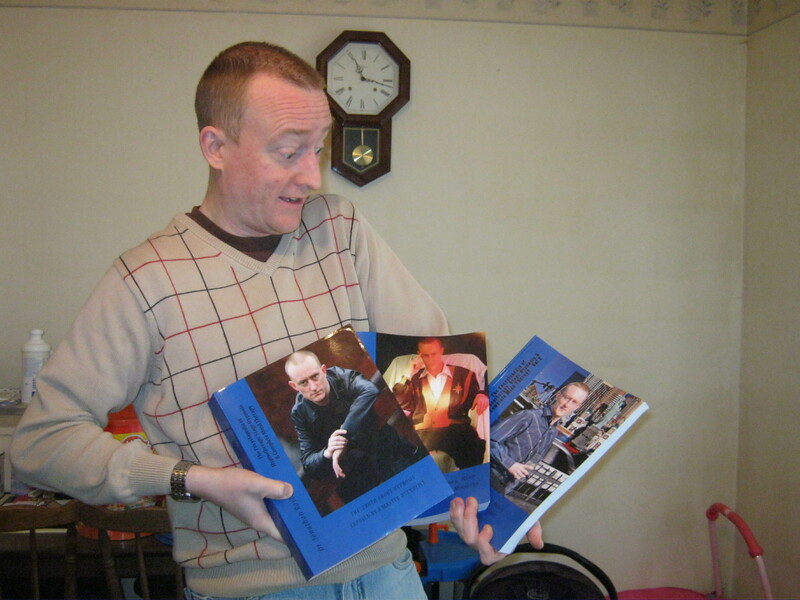 Well I have been doing Professional Paid Hypnotherapy Sessions since 1989 aged 14… And Professional Paid Stage Hypnosis Shows since 1990 aged 15, have also been combining Hypnosis and NLP techniques with Magic and Mentalism since 1990 aged 15. 02) What Level of Success Have They Achieved earning money from using their NLP and Hypnosis Skills? Well I bought my own home outright for cash (no mortgages or loans) before the age of 30, that property is now rented out and produces an income whilst I have now moved into a larger house… I have Zero debts and can do whatever I want, whenever I want, wherever I want with whoever I want without incurring a single penny in debt as i have the cash available (earnt from hypnosis) to give me Total Freedom in life. 03) What Success have they had in terms of Media Recognition? 04) Who Have They Worked for & What Have they done in the real world of live Comedy Hypnosis shows? Just a few examples of my achievements Stage Hypnosis Wise off the top of my head include performing Celebrity VIP Shows for Richard Branson and The Virgin Group in Barbados, Being the headliner for Corporate Companies such as F-Secures Yearly Conference (one of worlds biggest computer anti virus organisations), Being booked to do corporate hypnosis shows for large four and five figure sums for companies including Boots, Rathbones Bread, The Burton Group, Mensa & many others. Doing A hypnosis show in the London Plantetarium, being the first Hypnotist to do hypnosis on Childrens TV (Nickelodeon Channel), I could go on and on but in short I’ve travelled the world (Mainly thanks to doing shows in Hilton Hotels around the world) and done more shows than most UK Hypnotists will ever do in their life. (Back in 93 and 94 at height of UK Hypnosis Craze I was for best part of two years Solid doing at least a show a night and on Thursdays, Fridays, Saturdays would often do a pub gig, then a working mens club and then a nightclub at end of night and on Sunday may also be doing an afternoon show as well (back in the day when they had the closed doors strippers Sunday afternoon shows) – so would on average be doing at least 10 to 13 shows per week for the best part of those two years alone! Many who are now training Stage/Street Hypnosis have never done the amount of shows I did in those two years alone in their entire career and most likely never will…. OH and I have been doing shows every year since then, albeit that when the craze died down it was/is far less each week now! 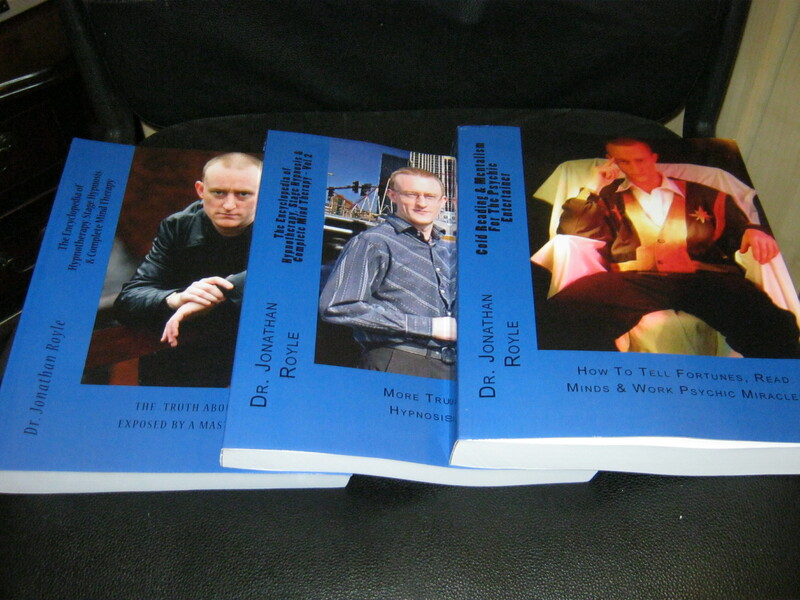 And I suppose the fact that I probably generate more Stage Hypnosis Show bookings for other hypnotists that I have previously taught and pass that work onto them than most hypnotists will ever do shows is relevant as well. 05) What Have they notably achieved NLP & Hypnotherapy Wise? Well shortly after I hypnotised several members of the Wigan Athletic Football Team they ended up in the Premiership. I could mention that I’ve treated successfully people with practically every issue you can possibly think of, however I think the fact that I have arguably taught more people all over the world who are now successful Hypnotherapists in their own right is more relevant..
As stated in a previous response my Hypnotherapy talents have been featured in major Newspapers, Magazine and on Numerous Television and Radio shows over the past 20 years. 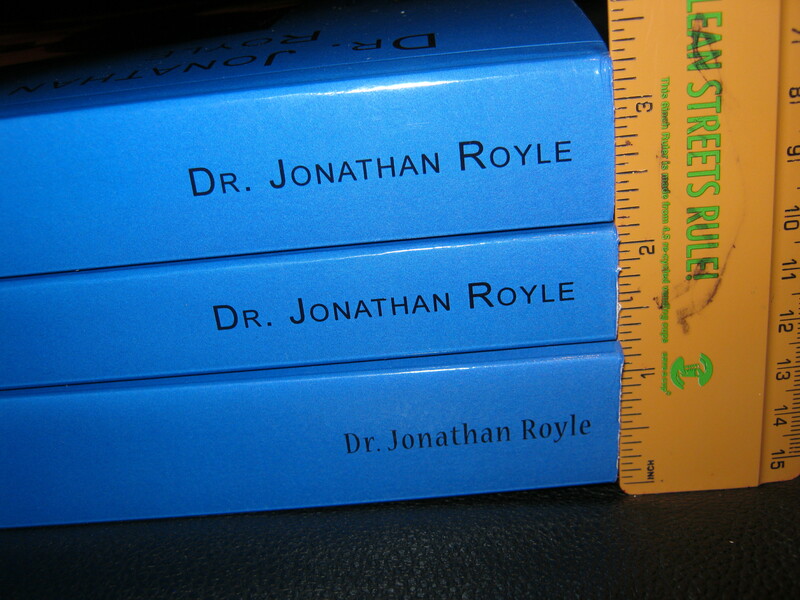 Oh and then there is the fact that I devised my own Unique Approach of Complete Mind Therapy (Combines the most effective elements of Hypnosis and NLP) and this is now being used successfully by thousands of therapists around the world on a daily basis. 06) If wanting to learn Entertainment Hypnosis Ask the trainer you are considering if they can sell you at least a 100 different DVDS of them doing shows and ask them to provide a selection that show them performing in every possible type of venue from Pubs and Clubs, through to Theatres and Universities along with Television and every other possible performance arena, I can assure you most so called Entertainment Hypnosis Trainers can’t do this as in reality they have not done many shows and have not had much success (eg not worked big venues for big clients etc) or they know that their show is not very good and don’t want you to see it? I am more than happy to sell anyone who wants them a selection of 100 different shows in every type of venue you could possibly imagine…. 07) Both Entertainment Hypnosis Wise and NLP/Hypnotherapy Ask them for Testimonials about their courses, and ensure they are not just ones in text with peoples names and location on, ensure they have web links to those people and you can easily confirm they are genuine and not made up quotes as many use! 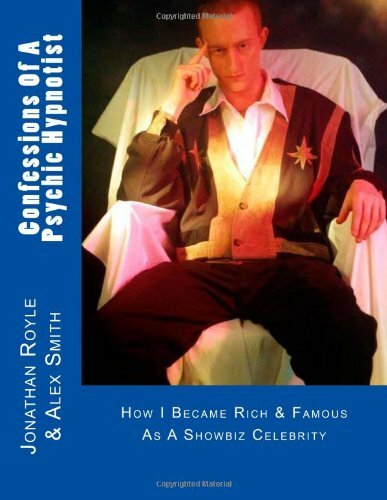 You’ll notice from the above that Many Leading Names in this industry including Stars of Television and Media still come to me on a regular basis for Consultancy and Advice on their Hypnotic Businesses. Ask yourself why is it that many at the top of their industry consider me the go to person for Hypnotic Advice? 08) What Sort of GUARANTEE (if any) does the trainer offer? No other trainer that I know of in the world has the confidence in their courses to offer a full One Year Satisfaction Money Back Guarantee. 09) Will They Give You Some Free Samples of Their Training so you can evaluate their Knowledge, Skill and Training Style and Ability? Anyone can go to http://www.elitehypnosisbootcamp.com and gain Free Access to over 6+ Hours of Intensive Hypnosis for both Stage and Therapy Training videos along with a full 550+ paged PDF Hypnosis training course which together are more than enough to get anyone started in the business and earning some money so they can then EARN AS THEY LEARN and afford my course fees for the Advanced training by earning the money to pay for it from the stuff I give away free! Incidentally the Free 550+ paged PDF is the exact same one that people paid almost £500 for the contents of as a Home Study Course in the early, mid and late 90’s and is the exact course that Paul McKenna Recommended to his Staff/Seminar Assistants to take and study (which they did) at the time. 10) Is the Trainer fully conversant and compliant with all Laws relating to Hypnotherapy and Stage/Street Hypnosis, and do they teach all the Legal & Health and Safety Elements? This is important as many trainers especially the “Street” ones do not have a clue about the laws and send out students telling them its OK to do things which are against the law. And regards Hypnotherapy I do indeed also know, comply to and teach all relevant laws, Health and Safety and Legal Matters. 11) Ask them for the truth behind any negative comments, rumours or such that you may have seen posted on the internet and find out a little more about who they really are? 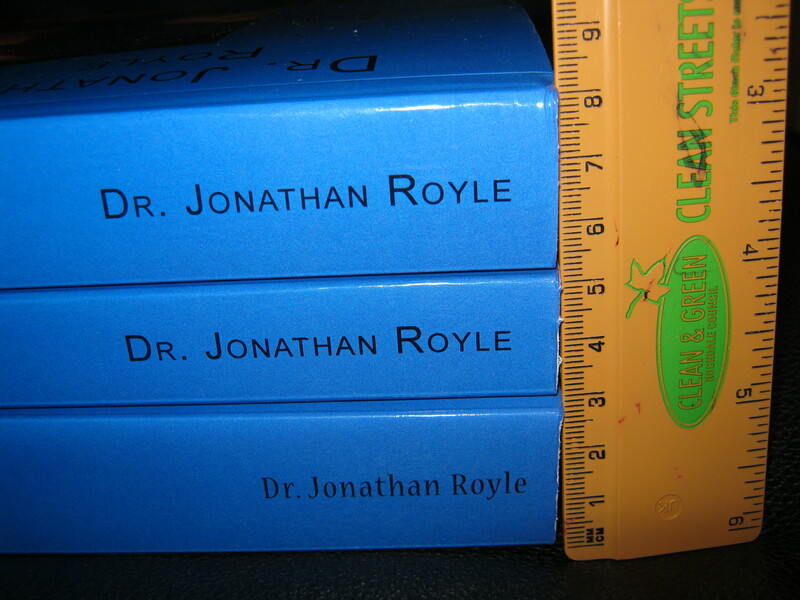 And you can discover even more about “The Truth About Jonathan Royle” in this video interview I did some time back with Robert Temple..
12) Ask them what their opinion of Hypnosis and NLP Diplomas, Certifications and Diplomas are? Beware the trainers who try to make out that you need certain qualifications to enter this business. The fact is there is no such thing as a Legally Recognised or required qualification or diploma to be in this industry in most places in the world. There is certainly no need to pay yearly membership fees to some fancy sounding “Boys Club” so they tell you in order to get discount insurance cover and help get more clients. Yes I give people bits of paper at the end of my courses, but they are as worthless as toilet paper (just like every other hypnosis and nlp diploma out there) and have one use only, that of creating a Positive Belief and Expectancy in your clients. Yes that’s right unlike the majority of others out there I will not rip you off and get you to pay a yearly membership fee to be in some worthless club that is not required in law and will not help you anyway! You get them FREE when you have trained with me, they are still however only of worth as Perceptional Change Tools for creating Belief and Expectancy with your clients, it’s the same for all Hypnosis and NLP courses…. The bits of paper are only as good as the person who is teaching you (their level of success and skill in both doing it and also teaching you) what really counts is RESULT’S and my students most certainly get those! In my opinion if they can’t teach you everything you ever need to know within a maximum of 3 days Live Training supplemented by back up video training and other materials which you can then continue to study at your own speed and in your own time whilst you are already earning from the skills you learnt on the live training then most likely they are not very good at what they do. 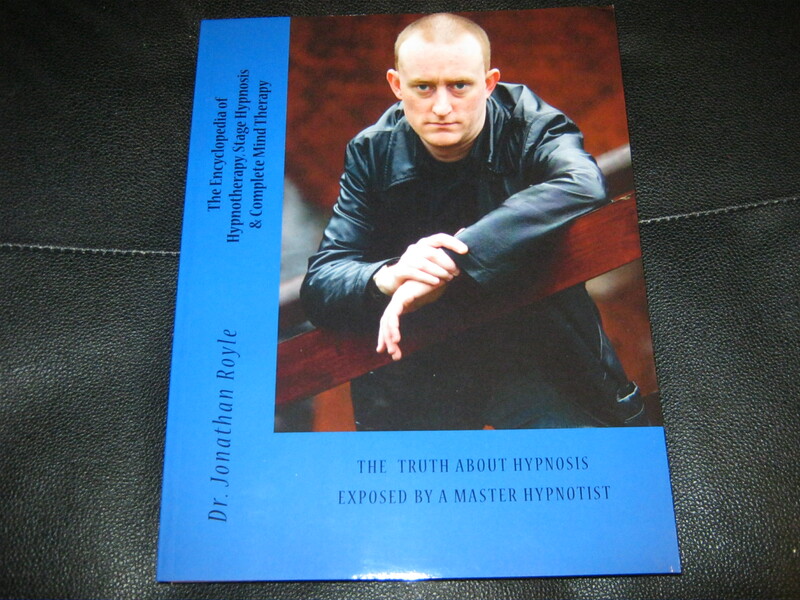 THE BOTTOM LINE TO YOUR FUTURE HYPNOTIC SUCCESS..
What I am saying is DO NOT spend a single penny with any so called Hypnosis Trainer until you have asked them all of the questions I suggest in this posting and have received satisfactory responses.